Often when we think of our online presence, we divide things into neat little boxes. You have your website over here, your Facebook over here, your email marketing over here, Twitter here, Google Adwords here, and so on and so forth. What many fail to do is integrate all of them seamlessly. When you’re developing your online presence, think of it as a whole. Each piece will work together with the other one, so that when someone Googles you, your brand, or what you do, then you capture not just that top spot, but the top PAGE. Your goal is to dominate the entire first page of Google. This is how you do it. Okay, so you can’t really create a social media profile on every social media out there. Why? Because there are hundreds of them. But that shouldn’t stop you from optimizing at least some of them, and at very least using the major ones like Facebook, Twitter, Instagram, Google+, Linkedin, Myopolis, etc. Choose which ones are heavily used, and those that you like to use, and create a profile on them. Your next step is to optimize them. 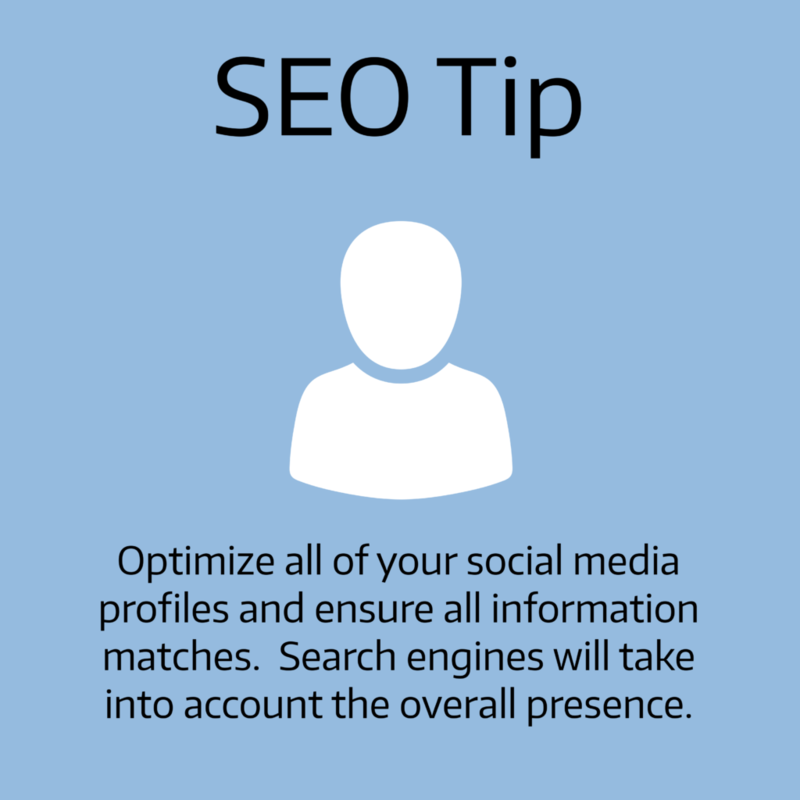 Optimize, a word which in the case simply means to fill out the complete profile. That’s it; it’s not as hard as it sounds. Profile Picture – Your profile picture should capture your brand and ideally what you do. Facebook makes this easy with their cover image, but not all sites have that option. Choose one that makes it very clear what your brand is, and use it across the board. Fill in Details – Make sure that all social medias (at least the ones that allow it) have all of your details. Address, phone number, what you do, about me sections, etc. Get detailed when you can, but keep the easy to access information concise. Use Keywords – Whenever you can do so naturally, plug your keywords. If you’re a copywriter in Billings, then make sure those keywords are used appropriately. Update Regularly – Regularly means different things on different platforms. Facebook is a heavily trafficked platform, update every day if you can. Twitter likes a lot of updates; update many times a day if you can. Other platforms rarely used update twice a month just to show that it’s not “dead.” Find a groove and be consistent. Be sure to monitor your social media so you know when to update as well. Here at Sery Content Development, our goal is to help you get found online. Whether that’s through copywriting and improving your click-through rate, content writing to help establish authority, or search engine optimization to bring you up, we are here to help! Ready to get found online? Contact us and we can set up a time to develop a plan.